Super Smash Bros. Wii U / 3DS Complete Character Roster Revealed? The next iteration of the Super Smash Bros. series is being released in two different version on the 3DS and Wii U, though they aren’t expected to release until the Summer and Fall, respectively. 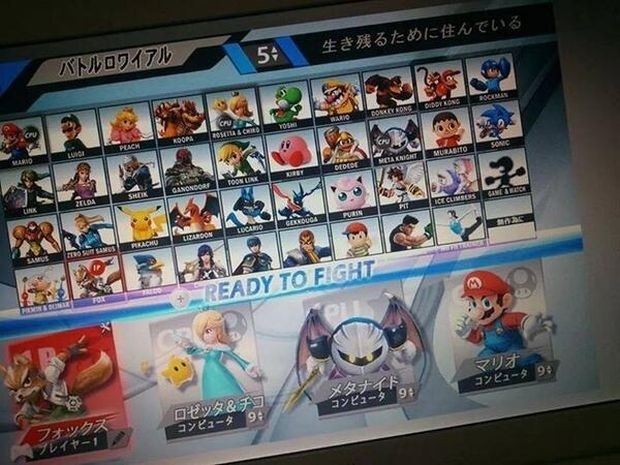 However, a leaked screenshot supposedly shows the complete characters roster for the games. While many of these characters have appeared in previous installments in the series, there are some new faces to get excited about. Check out the image below. It looks pretty legit to me as most of the characters that appear on this list we already knew about. It’s Smash Bros. and that means you’re dealing with a multitude of popular Nintendo characters, which seems to be what exactly what Nintendo will be delivering in the new games. This entry was posted in 3DS, All, Featured, Wii U and tagged Super Smash Bros. on April 21, 2014 by Mike Guarino.